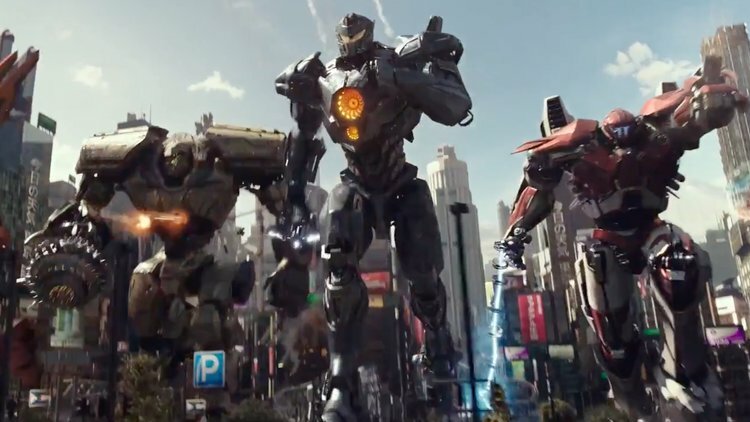 Pacific Rim: Uprising is the somewhat unexpected sequel to the 2013 giant robots vs. giants monsters movie Pacific Rim, created and directed by legendary Mexican horror auteur Guillermo del Toro. I hesitate to call the first film a hit, because did only middling box office ($101.8 million), but it was a critical darling and the fandom (which includes me) has been strong and vocal, and a sequel was green-lighted, but del Toro stepped back to producing and Steven S. DeKnight (Marvel’s DAREDEVIL, Starz’s SPARTACUS) took the director’s chair. The star of the new movie is John Boyega (Finn, Star Wars: Episode VIII — The Last Jedi), who plays the son of Stacker Pentecost (Ildris Elba), who commanded the Jaeger forces in the first movie and does not return for the sequel. Also missing is original hero Raleigh Becket, because Charlie Hunnam decided to make King Arthur: Legend of the Sword instead (bad choice). Enter Boyega as Jake Pentecost.